This Tuesday, take some tips from this article we wrote on routine bike maintenance. It is extremely important to keep up with the care of your bike like you would with any other mechanical device. So take our tips, and get your bike in optimal condition today! Photo above shows Steve Phyle from Tonka Bike & Ski, out of Hopkins MN, helping some cyclists on the Tour D’ Amico ride last summer. 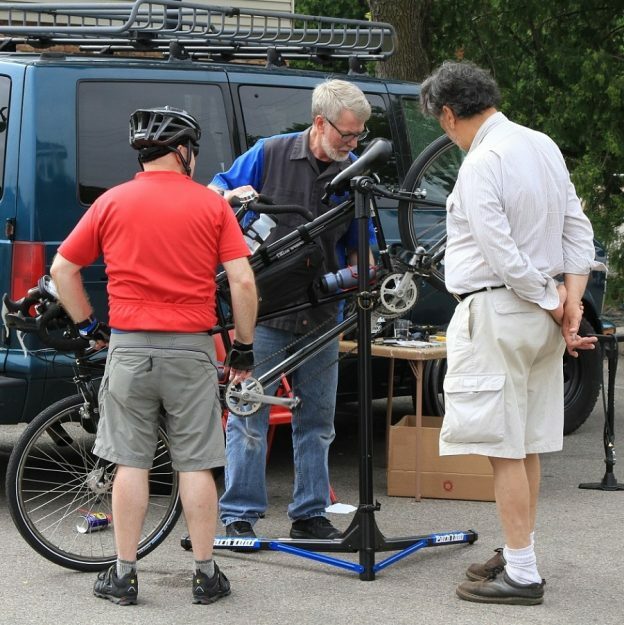 This entry was posted in News and tagged #nextbikeadventure, bicycle care, Bicycle maintenance, Bicycle tips, Bike Shop Mechanics, routine bike maintenance, Tonka Cycle & Ski, Tour D' Amico bike ride on March 21, 2017 by Stephanie Hunt.